Racetrack or road and an introduction. Hello there everyone, I’m Dave. Although new to Private Fleet, my background when it comes to the automotive area is pretty reasonable; I’m a freelance car reviewer with my own website (www.awheelthing.com), work as a motorsports commentator, interviewed some household names in Aussie motorsport, have sold cars and present a weekly wrapup on www.torqueradio.com.au. As such, I’ll be providing some reader friendly industry news & reviews on cars and invite you along for the ride. Megan’s spot on post about indicating leads me to my first contribution. Around the age of 16 or 17, we learn, supposedly, how to drive a combination of metal, plastic and rubber that weighs over 1000 kilograms at speeds up to 90 kilometres per hour. Or, if you like, move at 25 metres per second (if we use 90 kmh) whilst, generally, gripping the steering wheel intently and looking straight ahead. 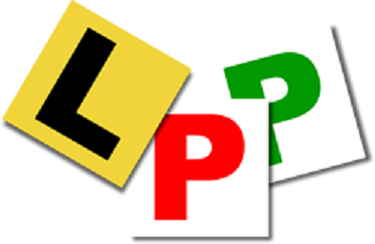 It’s an increasing concern to those that work in the driver safety area that our new P Plated drivers haven’t really been taught to “drive”, they’ve merely been shown how to steer, select D and…..well, that’s about it. Once you’ve been granted a license to drive, you’re not retested, as a rule, for potentially another half a century. Yet, in so many other disciplines, people have to undergo a mandatory test every 12 months. There’s generally constant training, updates and so on to take on board. Not with driving a car. Some manufacturers offer, as part of their sales package, driver training and club days. Some dealers will entice a new buyer with a day’s worth of driver training. Frighteningly, all too often this offer is declined because “I already know how to drive” or “the car’s for the wife, it’s just to pick up the kids from school”. Invariably, the vehicle they were looking at was a people mover or mid sized SUV…..current car was generally a small hatchback. Why is this relevant? Different classes of vehicle have different ways they need to be driven; a small hatchback sits lower to the ground and doesn’t have a lot of ground clearance. This means they have a lower centre of gravity than a SUV. Most of the time they’re not particularly a quick accelerator either. Most SUVs of a reasonable size have a diesel or V6 petrol engine. They’ll accelerate to 100 kmh a lot quicker. They ride higher, meaning their centre of gravity will be at a point most people coming from a small car will forget about when cornering. They’ll weigh more meaning they’ll require more braking effort or to be braked further back from the car in front if you don’t want to rear end them. Driver training, driver education provides this sort of clear and easy to understand information. As driver training centres are few and far between, these courses are held at the safest venue possible. A motorsport racetrack. 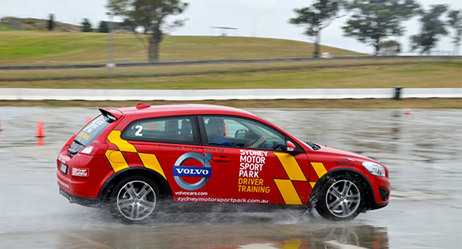 In Sydney, there are only, currently, two venues: Sydney Motorsport Park (Eastern Creek) and the Sydney Dragway. 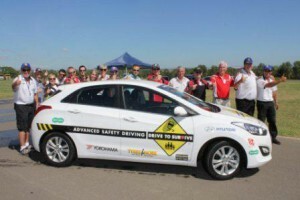 Unfortunately there are politicians, some police and some so called road safety campaigners that believe driver training is detrimental, that it will encourage people to exceed their driving ability. These calls are easily countered with one simple, unassailable, incontrovertible fact. The excessively overwhelming majority of crashes on Sydney roads are nose to tail and under the speed limit. Driver training helps you understand what you can and can’t do; more importantly it helps you understand what your car can or can’t do. Knowing how your car will accelerate and get across an intersection can make all the difference between holding up traffic behind you or not, it can make the difference between getting across safely and in plenty of time as opposed to being hit amidships. Driver training will help you make your car more visible when it’s raining or dark because you’re now more aware your dark metallic grey car is near invisible to other drivers. Driver training will help you learn that the hammering from beneath your feet when you hit the brakes is merely the ABS (anti lock braking system) working rather than something wrong and then you take your foot off and you don’t stop and you crash……And yes, it will help you know when to use your indicators correctly. Finally, the best way to prove that you’re not as good a driver as you think you are? Go do a driver training course.